As defined by Wikipedia, Search engine optimization is the science and management of digital resources to affect the visibility of a website or a web page in a search engine’s “natural” or un-paid search results. In general, higher the rankings on the web search results in the search pages, and more frequently a site appears in the search results list, the more visitors it will receive from the search engine’s users. In current times, economic recession has hit multiple industries. There is a pressure to cut all the costs, including marketing costs. Same time, patients are getting equipped with more options and are demanding more values. This makes senior executives to take part in decision making. Trust and credibility are essential virtues to convey, but this is not so easy in today’s climate of doubt and cynicism. While budgets are tight, there are new cost-efficient ways to communicate with customers. Internet is one among them. Of all the online marketing tactics, use of search engine optimization (SEO) makes the heart of credible digital marketing efforts. It is a more sophisticated yet user-friendly and attracts more traffic. SEO: Search engine optimization is a long-term, holistic (i.e., ongoing and part of an overall integrated marketing program) approach that uses skilled web site edits and other third-party relationships and commentary to influence the ranking of your web site in organic or natural search results. It offers a low cost platform to spread the awareness about your product/services. Searching online is ubiquitous, powerful and critical for awareness and leads as a huge volume of data is generated on internet. Researching on the Customers and Competitors is must to use SEO effectively and direct your messages to the right Target audience. Optimize your website based on the needs and demands of the users. Manage the site with right keywords that the customers use and check it with your competitors’ content. Also, get the information about the keywords used from the online suggestion tools like Yahoo, Google etc. Fit the site’s contents into the right Search Engines and use right Indexing configurations. Web metrics plan : Developing a Web metrics plan is critical for goal setting and movement from technical reporting to intelligent analysis. 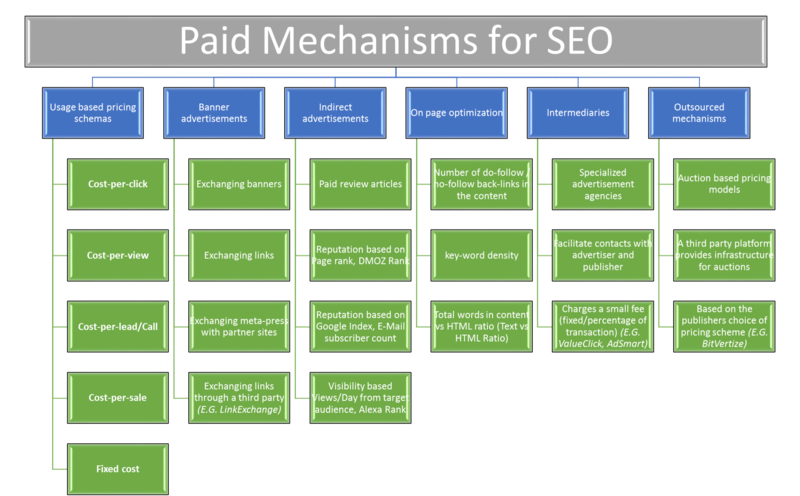 This plan will also provide the baseline measurement and goals critical for SEO success as it moves from data reporting to intelligence. Web metrics plan must include strategies to capture all data from the site, including internal site searches, data entered into forms, as well as a reconfiguration of reporting applications. Audience reach analysis: Online audience reach analysis is critical to understanding current audience needs, including breadth and depth of content- More than numbers of Web users, the analysis uses general demographic information to paint a psychographic picture of the online audience. Keyword universe analysis: Choosing keywords without researching how consumers search can be much like playing pin-the-tail-on-the donkey without the donkey. There are tools available to take chance out of the equation. Link analysis: Because link popularity is fast becoming the standard used by many search engines when determining and serving site recommendations, an effective SEO initiative must include an ongoing link analysis initiative. This analysis includes a current snapshot of links to the site, as well as the development of a link strategy based upon reciprocity and prospect mining. Success may be measured using various tools, including Alexa and Market leap. Technical audit: Use an impartial third-party to make a technical inspection of your site. Focus on the internal search function. You already know search is a vital part of bringing consumers and patients to your site (or you wouldn’t be implementing SEO) also remember, while Flash and frames can make for an aesthetically pleasing site, they can also be a real turnoff to spiders and robots^—automated programs that scan and index all content, page by page, on the Internet. These programs use complex algorithms that constantly change to determine placement and are used by search engines. 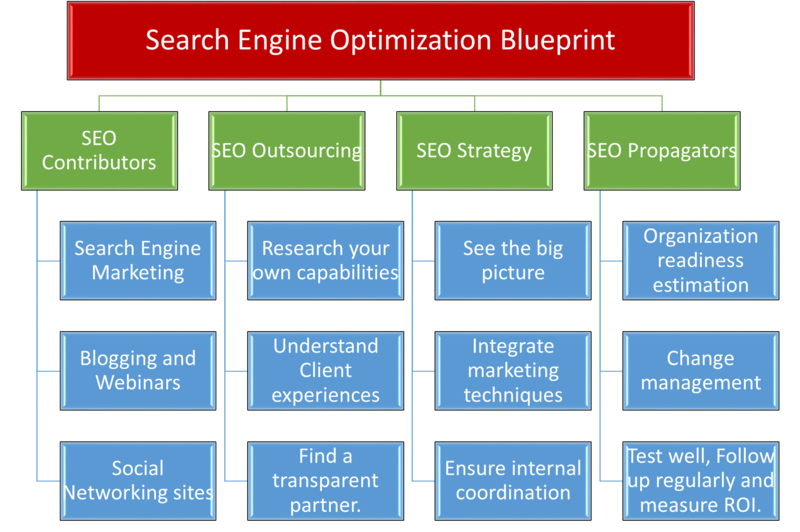 Following these steps would enable a defined and systematic approach to enable Search Engine Optimization and leverage upon the power of the web.